Dynamic time warping (DTW) is an algorithm for measuring the similarity between two time series that may have been acquired at different speeds. DTW aims to find an optimal match between two time series, such that the sum of the Euclidean distances between matching points is minimal. The image illustrates the DTW solution for two time series (which have been shifted vertically for better visualization). 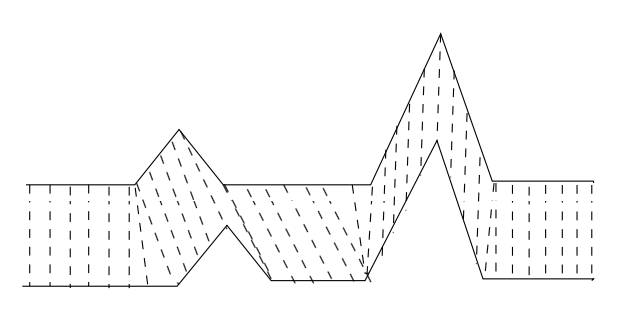 The dotted lines indicate matches between points of each series, and in order to represent a valid time warp they should never cross. Pseudocode for the DTW algorithm can be found at its Wikipedia entry. Given two time series, calculate the dynamic time warping similarity between them.